Beginning gardeners are faced with bewildering choices when it comes to tools. Tools are a major outlay and perhaps the biggest single investment a gardener is likely to make. It is important to buy what is really necessary to get started and then add to the collection as the need arises. Here are some pointers to those starting out for the first time. Buy the best tools you can afford. Good tools last much longer and give the gardener a sense of pride when they are used. For those on a budget, the cost of tools can be alarming. Buying secondhand is an excellent option. You can still find bargains at auctions, car boot sales and in classified advertisements. Better buy good secondhand rather than cheap tools new. Good quality tools, well cared for, even if old and well-used will still have years of life in them. Check the handles for splits and roughness and any evidence of neglect. Rust can be easily cleaned off with wire wool. Let’s start with the first processes in cultivation and then move on to planting and plant care. The garden spade is used for turning over the soil and not to be confused with the shovel, which is used for moving loose materials. The handle should be comfortable to hold, the blade stout and sharp. A good spade is forged. Cheap ones are made of pressed sheet steel and bend easily. Some people prefer to use a garden fork instead of a spade. 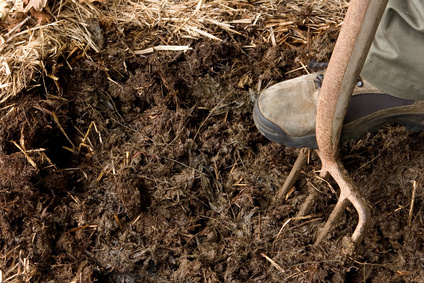 Forks are useful for digging rough or weedy ground. They need less effort to drive into the soil and do not cut through weed roots. 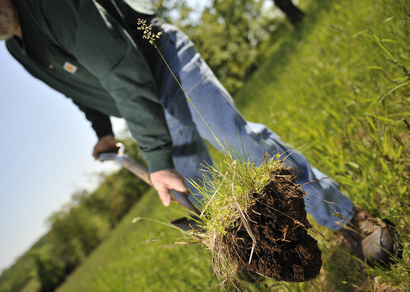 The soil spits can be struck with the fork and grass clods shaken to remove loose earth. 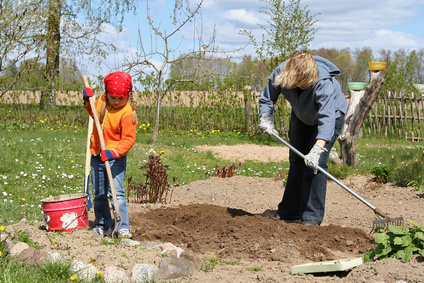 A small garden fork is excellent for loosening soil before lifting weeds from flower beds. The draw hoe is used to break up soil lumps after digging, loosening the soil before creating a seedbed and for weeding. Draw hoes are essential tools. They come in a variety of shapes, triangular, heart-shaped or rectangular, but they all work in the same way. The push hoe, commonly called a Dutch hoe is used to slide through the top two or three centimetres of soil, turning over weed seedlings and exposing them to the sun and wind. 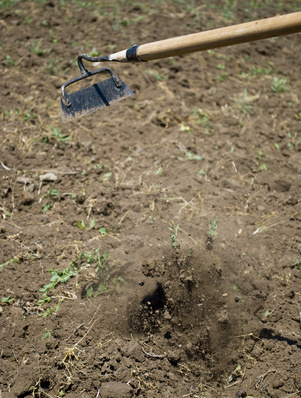 Soil loosened by hoeing dries easily, discouraging weed seed germination and helps the soil retain moisture. Rakes are used to level soil, breaking up lumps into a fine tilth ready for seed planting and for removing stones from the seed bed. For planting seedlings, bulbs and small plants, a garden trowel is invaluable. A handfork is used for weeding spaces too small for a hoe and for lifting deeply rooted weeds. Get long handled versions for these small handtools, they save your back and give greater leverage. A garden line can be improvised from a length of string and two stakes, some people prefer to use a board marked with saw cuts to show planting distances. Now you have everything to make a start. Secateurs, shears, loppers and pruning saws can come later, as the need for them arises.